While rounding up today’s best April Fools’ stories, many came across SwiftKey Tilt, where users can tilt their device to type out sentences. It was taken as a joke since in their promo video you see a lady on a unicycle typing, a whole office of people doing some type of Harlem Shake, but it appears as if this is no joke. 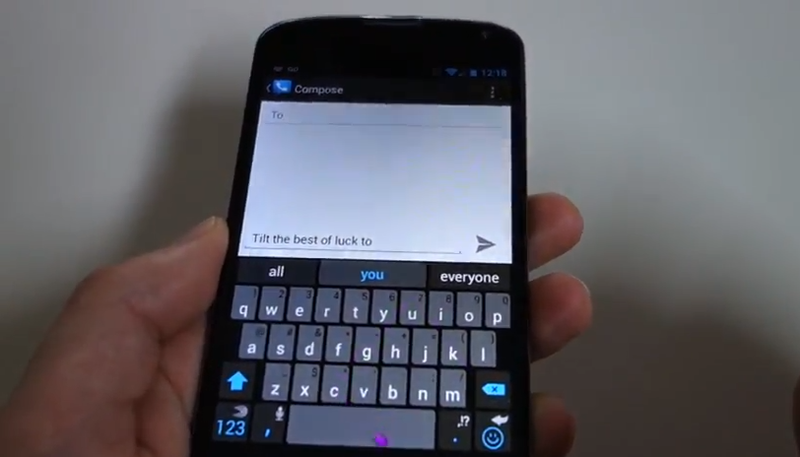 Inside SwiftKey, there is indeed the option to turn on the Tilt feature. Surprise! So, go ahead and check out our brief hands-on with it and Kellen trying to use it.